After the delving deep for the epic Sleepless in Sydney story, it's time to lighten things up a bit. The next few posts will be light, fluffy and cheerful (and not so wordy). During the break I saw two movies - quite out of the ordinary for me, despite the fact I love nothing more than going to the flicks. The films in question were An Education and Avatar, which are worlds apart. 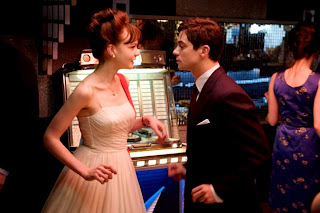 I really loved An Eduction, besides being completely swept up in Nick Hornby's fab screenplay set in London and Paris during the early '60s, I fell in love with the divine costumes. I'm not one to often fawn over fashion but I can't get the gorgeous garbs out of my head. Nice. Love that style too. ohhhh the dresses are beautiful! I loved 'An Education'. 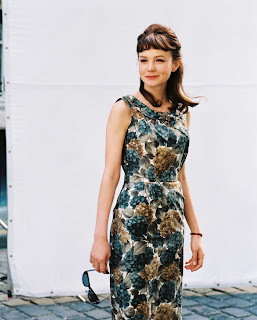 Especially the dresses and Carey Mulligan! Also,I loved your sleeping posts. Must have been difficult to write though.Congrats on making it through such a horrendous period and speaking about it so honestly. Megs - Avatar had great special effects, it was amazing visually. I didn't think it was my kind of movie, but a lot people kept telling me how great it was. I walked out the movie saying "Yep, it wasn't my kind of movie". I wish I'd gone and seen The Lovely Bones. Wow - those are two very different movies. SO what did you think of Avatar?